March 13 (The Australian) RIO Tinto chief Sam Walsh says the market should not be surprised by factors that have sent coal and iron ore prices sliding and he is confident Chinese growth will underpin long-term commodities demand. And the mining boss has sent a message to his Glencore counterpart, Ivan Glasenberg, that the Swiss trader-miner will have to offer more to merge its Hunter Valley coal operations with that of Rio. Speaking at the opening of a copper and coal processing centre of excellence in Brisbane this morning, Mr Walsh said sliding copper and iron ore prices were being hit by Chinese steel capacity and credit tightening flagged six months ago. "Some people are surprised but it was signalled by the government," he said. "They expected about 80 million tonnes of steel capacity would come off." What was important was that Chinese growth would remain strong and that Rio's cash costs of $US20.70 per tonne were the lowest in the game, he said. Iron ore prices, which hit a 12-month low of $US104.70 per tonne this week, rose 2.4 per cent to $US107.40 overnight. "We have seen a recovery in the past couple of days, with iron ore prices strengthening - where that ends up the market will determine," Mr Walsh said. Glencore's Mr Glasenberg last week talked up the potential for a merger of the NSW coal operations of Rio and Glencore. He said negotiations between the pair had been going on for a while but it would take time for each party to assess each other's operations. But it appears any offer from Glencore is well below Rio's idea of where it should be. "Our coal operations are long life, quality operations," Mr Walsh said. "If somebody is interested in putting a worthwhile proposal to us, well that's exactly what they should do." Mr Walsh said the looming end-of-March project finance deadline for the Oyu Tolgoi underground copper and gold mine in Mongolia would not cause Rio to rush an investment framework through on the stalled expansion. "We are not about rushing to meet a deadline," he said. March 13 -- Wolf Petroleum (ASX:WOF) is extremely pleased to announce that an independent resource assessment has been completed and has identified a substantial prospective oil resource on the Companies 100% owned SB block. · This work has identified and prioritised a total of five drilling leads on the UU and TV Sub Basins, which are part of larger Toson Tolgoi Basin. Wolf controls 100% of the Toson Tolgoi Basin. · Prospective resource assessment on five leads have been independently estimated by MHA Petroleum Consultants LLC of the USA and confirmed the substantial oil potential on Wolf's 100% owned SB block. o High Estimate – 1.624 Billion barrels of oil. o Best Estimate - 760.5 Million barrels of oil. o Low Estimate - 290.6 Million barrels of oil. · Estimates are for primary recovery from identified leads only and potential stratigraphic and additional leads are not included in this calculation. · The Company is now working on the completion of the Talbulag Basin interpretation and initial resource estimates are expected in the coming months. Prospective Resource Assessment (PRA) was estimated following PRMS (Petroleum Resource Management System) Guidelines. Volumetric calculation of prospective resources requires area, net thickness, porosity, water saturation, oil formation volume factor, hydrocarbon fill factor and recovery factor. Areal extent of the three formations (Upper and Lower Zuunbayan and Tsagaantsav) was calculated from seismic structure. Net thickness, porosity, water saturation values from public domain data or assumed. Petro Matad APPEX Presentation: "MONGOLIA: FRONTIER EXPLORATION POTENTIAL IN AN EMERGING ECONOMY"
The convertible notes each have a face value of $1,000, an interest rate of 12% per annum and a maturity date of 6 March 2015. The conversion price is equal to the lesser of $0.004 or 80% of the subscription price under the Company's next capital raising. Each share issued upon conversion also carries one free option, exercisable on or before 6 March 2018 at 100% premium to the conversion price. For full terms and conditions refer to the Notice of General Meeting lodged with the ASX on 3 February 2014. Repayment of convertible loans totalling $500,000. Funds raised from the issue of the convertible loans were used to fund exploration activities at the Company's Ulaan Tolgoi Project in Mongolia and for general working capital purposes. Newera Investor Presentation: "Is Ulaan Tolgoi the next Tavan Tolgoi?" HONG KONG, CHINA--(Marketwired - March 12, 2014) - The board of directors of SouthGobi Resources Ltd. (TSX:SGQ)(HKSE:1878) (the "Company") will meet on Monday, March 24, 2014 to consider and approve the fourth quarter and full year 2013 financial results of the Company and its subsidiaries. These financial results will be released before TSX market open. The conference call will also be simultaneously webcast on SouthGobi's website at www.southgobi.com. The archived playback will also be available at the website. March 12 (Bloomberg News) Copper, which sunk to a near four-year low, is likely to have touched a bottom and will trade above $3 a pound in the next 2 to 3 years, said Tiger Resources (TGS) Ltd., the fourth-biggest copper miner listed in Australia. "There is an expectation in the immediate short term of softening and we are just about where we expected that softening to go to," Brad Marwood, chief executive officer of the Perth-based company, said today in an interview. Copper in London has slumped 12 percent this year, on forecasts of declining imports by China, the world's biggest consumer of the industrial metal. Continued industrialization across Asia as well as strengthening economies in the U.S. and Europe will support prices, according to Marwood. The metal should trade "in the $3 to $4 per pound range over the next 2 to 3 years," Marwood said. "We see the copper price remaining robust." The contract for delivery in May on the Comex in New York was little changed at $2.947 a pound at 2:19 p.m. in Sydney. That's the lowest since July 2010. Tiger, which has projects in the Democratic Republic of Congo, fell 5 percent to 39 cents at 2:19 p.m. in Sydney, trimming its advance this year to 13 percent. 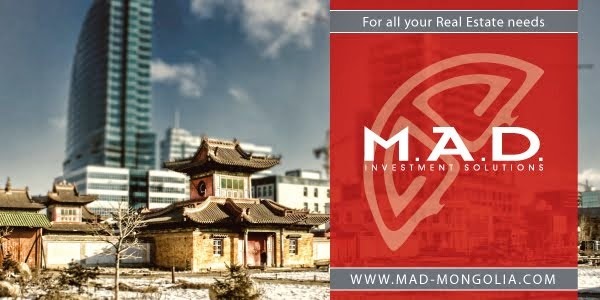 March 12 (BDSec) Mongolian shares edged higher on Wednesday as the most A-Board stocks on the MSE recovered. Gutal (GTL) was the most gainer of the day which saw its stock up 14.44%. Aduunchuluun (ADL) and Naco Tulsh (NKT) went up over 4%. Makh Impex (MMX) came back down to MNT 3,000, losing 5.72%. Hotel Mongolia (MSH), a resort hotel which is located about 20 km east of Ulaanbaatar city, reported their 2013 results. Sales revenue for the FY13 came down 11.5% to MNT 0.8 billion or around half million USD. The loss per share to the shareholders of the company amounted to MNT 19.1 in 2013, as compared to loss per share of MNT 1.8 in 2012. Turnover for Wednesday was MNT 18.0 million. Ulaanbaatar, March 13 (MONTSAME) At the Stock Exchange trades held Thursday, a total of 9,145 shares of 33 JSCs were traded costing MNT 18 million 556 thousand and 285.09. "Hai Bi Oil" /3,000 units/, "Khokh gan" /2,090 units/, "Remikon" /666 units/, "Tavantolgoi" /582 units/ and "Gobi" /520 units/ were the most actively traded in terms of trading volume, in terms of trading value--"Gobi" (MNT three million 484 thousand and 360), "Tavantolgoi " (MNT three million 086 thousand and 665), "Talkh chikher" (MNT two million 072 thousand and 360), "UB BUK" (MNT one million and 950 thousand) and "Hai Bi Oil" (MNT one million and 020 thousand). The total market capitalization was set at MNT one trillion 673 billion 323 million 061 thousand and 030. The Index of Top-20 JSCs was 16,659.48, increasing by MNT 57.67 or 0.35% against the previous day. March 13 (infomongolia.com) The celebration of Global Money Week takes place in Mongolia under "Every Child is Financier" slogan by "Child & Youth Finance International" Movement, Mongolian Bankers Association (and member banks), Bank of Mongolia and Mongolian Stock Exchange on March 10-17, 2014. The event is aimed to promote and raise awareness about the importance of children and youth's financial education and economic education among the public, besides to empower and give children a better understanding about the banking and finance sector. In the frameworks, a series of activities have been organized such as Facebook picture contest, Bank visits to high schools, Student visits to Banks, and Student visits to the Mongolian Stock Exchange. On March 10, the opening of celebration of Mongolia Money Week started with a tour to the Mongolian Stock Exchange (MSE), where students from Sant High School rang the bell to open the market for trading at MSE. The students were given a tour of the MSE and learn about the economic environment, how the stock exchange operates and the role in Mongolian economy. March 13 (Bank of Mongolia) On the Foreign Exchange Auction held on March 13th, 2014 the BOM has received from local commercial banks bid offer of 20 million USD and 26.0 million CNY and ask offer of 4.9 million USD and 3.6 million CNY. The BOM has not accepted any offer. On March 13th, 2014, The BOM has received MNT Swap agreement offer in equivalent to 70.3 million USD and accepted the offer. March 13 (Bank of Mongolia) Auction for 3 years maturity Government Bond was announced at face value of 40 billion MNT and each unit was worth 1 million MNT. Face value of 28.0 billion /out of 28.0 billion bid/ Government Treasury bill was sold to the banks at premium price and with weighted average yield of 13.80%. March 13 (Bank of Mongolia) Regular auction for 28 weeks maturity Government Treasury bill was announced at face value of 60.0 billion MNT and each unit was worth 1 million MNT. Face value of 42.0 billion /out of 42.0 billion bid/ Government Treasury bill was sold to the banks at discounted price and with weighted average yield of 11.70%. Ulaanbaatar, March 12 (MONTSAME) The Minister of Economic Development N.Batbayar Wednesday received Mr Antonio Somma, a head of the Eurasia Competitiveness Programme (ECP) at the Organization for Economic Co-operation and Development (OECD). Mr Somma spoke about projects on increasing the competitiveness of mining sector, on economic diversity and on combating corruption, which are possible to be co-realized with the Mongolian side. In response, the Minister said the Mongolian government supports these projects, and exchanged views with Mr Somma on the Dutch disease phenomenon, one of the economic difficulties among mineral rich nations. Mr Batbayar asked the OECD to cooperate in preventing this problem. Mr Somma promised to work out an appropriate solution for Mongolia after conducting a research together with the ECP experts and to present it to the Minister soon. The Dutch disease is a term in economics, and is related to the apparent relationship between the increase in exploitation of natural resources and a decline in the manufacturing sector (or agriculture). The mechanism is that an increase in revenues from natural resources (or inflows of foreign aid) will make a given nation's currency stronger compared to that of other nations (manifest in an exchange rate), resulting in the nation's other exports becoming more expensive for other countries to buy, making the manufacturing sector less competitive. While it most often refers to natural resource discovery, it can also refer to "any development that results in a large inflow of foreign currency, including a sharp surge in natural resource prices, foreign assistance, and foreign direct investment". The term was coined in 1977 by The Economist to describe the decline of the manufacturing sector in the Netherlands after the discovery of a large natural gas field in 1959. This article calls into question the efﬁcacy of systemic accounts of weak state foreign policy behavior through a case study of Mongolia's foreign policy behavior toward China. In particular, it challenges the contention within international relations and foreign policy analysis literature that weak states' foreign policy is structurally determined. Employing James Rosenau's ﬁve-part typology of foreign policy, the article demonstrates how Mongolia's – a prototypical weak state – foreign policy toward China is driven by domestic factors. It also considers the case study's implications for both the study of weak states and Northeast Asian regional dynamics. March 13 (new.mn) The long legal battle over the privatization of the Lenin Museum has finally been solved after one year of debate. The high profile case has now been resolved and the ownership of the Lenin Museum was decided in favor of its intended use as museum after 11 delay by the claimant the Mongolian People`s Party (MPP). On Wednesday, the Minister of Culture, Sport and Tourism Ts.Oyungerel and the Chairman of the State Property Committee D.Tsogtbaatar made a joint announcement that the Lenin Museum is confirmed as state property after the decisions of three levels of courts. The Government decided to convert the Lenin Museum into a building to promote the history of dinosaurs with the intention to protect, verify and register paleontological findings and cultural heritage after the smuggled Tyrannosaurus (Tarbosaurus) Bataar skeleton was returned back home. The Lenin Museum was built using the State budget on the decision of the Ministry of Culture in 1974. However after the owner of the building, the Historical Institute of MPRP was abolished, the former MPRP, now MPP, has used the building as a commercial property. The Ministry of Culture, Sport and Tourism plans to hold an open tender for the reconstruction and repair works of the main building in order to turn the museum into a paleontological museum where Tyrannosaurus (Tarbosaurus) Bataar and other dinosaur fossils can be displayed for the public. March 13 (news.mn) The Society of Investigative Journalists Mongolia are conducting a two-day training on "Encouraging qualification in journalism – Guidance and methods to investigative reports" with the support of the Mongolian chapter of Transparency International, the British Embassy in Mongolia and the Thomson Foundation from today. The two-day training is to raise the standard of investigative reporting to a high professional level. The advisor on free press, Mr. Oliver, Director of Development at the Thomson Foundation, Bettina Peters and President and CEO at Globe International Kh.Naranjargal, will deliver lectures and presentation. Topics will include how to improve technical skills to collect information and develop team work as well as how to conduct dialogue and discussion based on a combination of practices and experiments and sharing experiences. The two-day training of journalists will be held at the Corporate Hotel on March 13th and 14th. By Jacopo Dettoni, ULAN BATOR, March 13 (Nikkei Asian Review) -- Dozens of dusty residential and retail construction sites greet travelers along the road connecting Chinggis Khaan International Airport with downtown Ulan Bator. As the surrounding steppe gives way to the city, new condo towers poke out among Soviet-era-style apartment blocks. Many more buildings are still little more than blueprints, including a skyscraper in the shape of an upright morin khuur, Mongolia's traditional two-stringed horsehead fiddle, that would be as tall as the Eiffel Tower and would house offices and shops. "Construction has become a better business than mining," said Lkhagvasuren Odsuren, a former mining executive now developing a 315-unit apartment building. "Mining is a risky game. In construction, you need less money, but you can still get a return on investment of up to 50% depending on how good your project is." Capitalizing on its vast endowment of undeveloped mineral resources, Mongolia has emerged as one of the world's hottest economies. The Economist Intelligence Unit projected that the country will be the second-fastest growing economy in the world this year, behind South Sudan, with gross domestic product rising 15.3%. The construction sector has been a key boomtown beneficiary as GDP per person has grown nearly fourfold since 2005. Previously home to around 350,000 residents, Ulan Bator is now short on living space as an influx of migrants from the countryside helped swell the capital's population to 1.3 million. Members of the local middle class and foreign managers dispatched by mining companies jostled for the scarce apartments on the market. The crush of demand pushed residential property prices up almost 20% annually over each of the last eight years to an average $1,500 per square meter, according to local property investment services company M.A.D. Investment Solutions. "In the past, people would pay the same price for poorly built space and nice developments just because there was no space available," said Harris Kupperman, executive chairman of Mongolia Growth Group, a Toronto-listed company that invests in local office and retail properties. Half of the city's population, including hundreds of thousands of recent arrivals, live in ger, or yurts, the traditional round felt tents of the steppe. These residents, in neighborhoods clustered around the city center, lack access to basic services and burn raw coal for heat. In part to address the resultant pollution, the government has been trying to relocate families into modern housing with the help of subsidized mortgages. "With the government's support, the total stock of apartments under construction is expected to reach between 35,000 and 40,000 units in 2014, from 10,000 to 15,000 (a year) before the mortgage programs were launched," said Odsuren, the local developer. But supply growth now looks to be overtaking demand, and the feasibility of many new developments is coming into question. 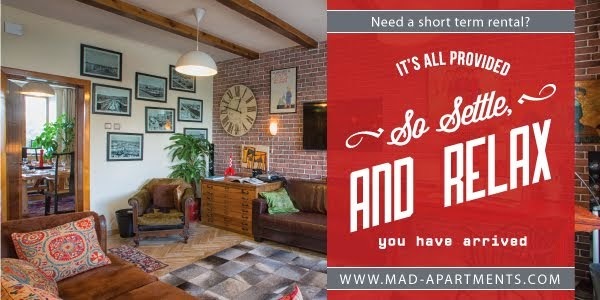 "While dorm housing for the lower-middle class is still selling well, many developments in the upscale market are going to remain vacant," said Christopher de Gruben, managing partner at M.A.D., which mostly invests in existing middle- and upper-class apartments in the city center. "We estimate that there are around 3,752 luxury units either planned, in construction or on the market, against an estimated demand of 420 units over the coming three years." With foreign direct investment falling by nearly half last year (Mogi: official numbers was -54% for 2013), office demand has already dropped steeply after years of scarcity. "If you look at all the projects being developed, obviously there is going to be an oversupply of office space," Kupperman said. Sensing the shift in momentum, hotel developers have been canceling projects that were to house outposts of international brands such as Hilton, Hyatt, Sheraton and Radisson Blu. The hotel construction pipeline has contracted to 1,000 rooms from a planned 3,500, M.A.D. said. The World Bank is among the observers warning of a possible property bubble. Outstanding loans by Mongolian banks grew 54% last year, with growth concentrated in the construction sector, according to Moody's Investors Service. Noting that many of these loans fall under government interest rate caps and may not be "fully priced," the ratings agency in January gave a negative outlook for three major banks -- Khan Bank, Trade and Development Bank of Mongolia and XacBank. Local investors are optimistic that the market can avoid a crash. "Landlords have no incentive to lower prices because they are generally not mortgaged," de Gruben said. "Mortgages still account for only 10% of purchases. But the next 18 months will be painful for the most amateurish developers. Some 30% of them will go bankrupt." Kupperman expects a similar shakeout with office space. "Buildings that are built well and offer international standards of quality will still receive good pricing, as opposed to many of the speculative office buildings thrown together with cheap labor and material in the last years," he said. With temperatures dipping below minus 30 C, construction in Ulan Bator is on a winter halt. When spring comes, observers will be watching to see which developments resume building and which are left to languish. March 13 (Railway Gazette) MONGOLIA: Ulaanbaatar Railway has awarded Transmashholding's Tver Carriage Works a contract to supply 12 second and two first class compartment coaches, and a staff car with a compartment adapted for a person with reduced mobility and an accompanying person. The air-conditioned coaches will be based on the 61-4440 and 61-4445 designs. They will have stainless steel bodies and retention toilets, and be suitable for speeds up to 160 km/h. Deliveries are planned for the first half of this year. March 13 (Bloomberg) -- Transportation of crude oil from China National Petroleum Corp.'s Tamsag Oil Field in eastern Mongolia will be delayed as long as 20 Days following a tanker explosion on March 10, says Mongolia's Deputy Minister for Mining Erdenebulgan Oyun. March 12 (UB Post) Eight oil delivery trucks exploded at PetroChina Daqing Tamsag oil extraction field in Matad soum of Dornod Province at around 8:50 p.m. on Monday, reported the National Emergency Management Agency (NEMA) on Tuesday. A fire broke out at one of the ten oil trucks that were lined up for oil loading at the Ta-1 extraction site of the mine field and spread to seven other trucks, reported the agency. Two people died in the accident and officials reported that they might be Chinese workers for the company. A driver for China-financed CNPC received critical burns in the accident and was immediately transported to China through Bichigt port for emergency medical treatment. The fire was extinguished at around 2:30 a.m. on Tuesday. Only the oil loading part of the mine was damaged in the fire. Crude oil cleaning, storage, water pumps, sewage treatment settlement, crude oil unloading part, power sub-station and surrounding buildings and land were not affected according to a report by NEMA. The operations of the oil driller have been temporarily halted. The chiefs of Dornod Province Police Department and Dornod Province Customs Authority, as well as other specialized inspectors, forensic specialists and emergency management officials are currently working at the scene for further investigation. Ulaanbaatar, March 12 (MONTSAME) The Speaker of the State Great Khural (parliament) Z.Enkhbold Tuesday received delegates of the China Petrochemical Corporation (Sinopec Corp) and of the "HOPU" group, in the State House. The Speaker noted that the cabinet decided last week to set up a unit at the Mining Ministry to realize a project on introducing a coal gasifying technology, and said the unit's activity has launched right after this meeting. A cooperation memorandum was established between the Mongolian Mining Ministry and the Sinopec Corporation during a visit of the Mongolian Premier to China last year's autumn to collaborate in introducing the technology of coal gasification. Railways are essential for the development and diversification of Mongolia's economy. The Government of Mongolia recognizes that structural changes will be required to improve the efficiency of the rail sector and to provide incentives for private sector investment. A key step toward rail sector reform is to institute a tariff system for the use of rail infrastructure that provides "open access" to the rail network. This report proposes a system of rail infrastructure tariffs to enable liberalization of the freight market and spur private sector investment in Mongolia's rail sector. Ulaanbaatar, March 12 (MONTSAME) The Minister of Foreign Affairs L.Bold Wednesday received Mr Gilles Guerrier de Dumast, a chairman of Mongolia's Investment Corporation's (MIC) representative leading council. The meeting was held at a request of the MIC's side. Mr Dumast introduced to the Minister current activities of the MIC in Mongolia. GREENBELT, Md., March 13, 2014 /PRNewswire/ -- Global Science and Technology, Inc. (GST), a leading innovator of weather forecasting products and services, is proud to announce that it recently completed a contract to provide WAFS-METLAB2™ weather workstation technology to the Mongolia Aviation Meteorological Center (AMC) at the Chinggis Khan International Airport in Ulaan Bataar, Mongolia. Together, with partner WeatherLink of South Korea and the cooperation of the Korea Meteorological Agency, GST completed an on-site installation to modernize the weather data information processing capability at the Mongolia AMC in support of aviation meteorology. GST also conducted on-site testing and training for the aviation and center staff on the new technology. "This is an important expansion of our international portfolio of providing weather workstations for the global market. The provision of equipment and technical expertise in Mongolia helps to advance aviation meteorology in a growing Mongolian economy. Our WAFS-METLAB2™ installation in Mongolia builds on GST's recent international successes in Cambodia, the Philippines, and the Caribbean and further demonstrates the effectiveness and adaptability of the WAFS-METLAB2™ system," said Chieh-san Cheng, GST CEO. GST Program Manager and Meteorologist Paul Heppner supervised and assisted the on-site installation in Ulaan Bataar. "The Mongolia AMC is modernizing its approach to meteorological analysis, looking to conduct more data integration which WAFS- METLAB2™ supports. In addition, the workstation includes BriefNet™ automatic production of weather charts and flight documentation. Mongolia AMC is now well positioned to support and expand aviation operations at Chinggis Khan International Airport," said Heppner. The WAFS-METLAB2™ system is a powerful, yet flexible integrated workstation to visualize and process weather data and information for a wide range of weather professionals in commercial, government, and military markets. The workstation is highly adaptable to various users, data sources, and formats to support near real-time weather forecasting. WAFS-METLAB2™ includes communications software for data acquisition from World Area Forecast System (WAFS) meteorological data sources. In addition to the WAFS data baseline, the workstation is able to integrate and process satellite, radar, lightning, and other environmental data sources to allow for rapid dissemination of information for forecasting, decision making, alerts, and critical warnings. WAFS- METLAB2™ includes the capability to alert users based on incoming data thresholds as well as create customized, macro-driven, integrated overlays. MINSK, 12 March (BelTA) – Slodych Confectionary Factory plans to launch the exports of its products to China and Mongolia. In March biscuits of this Belarusian factory will be presented at the China's exhibition, Slodych acting director Alexander Nechai told media on 12 March, BelTA has learnt. March 12 (Dart Center for Journalism & Trauma) Dart Centre Asia Pacific spoke to media trainer Lisa Gardner about Mongolia' pollution problem and preparing local journalists to investigate the story in Ulaanbaatar, the world's second-most polluted city, where the poor air quality accounts for 25% of deaths. Lisa Gardner, an Australian media trainer working in Mongolia, recently led a six-journalist team beginning an extensive feature investigation into the effects of living in such pollution. As the team moved into its research, Lisa became concerned the journalists – many of whom were newcomers to such intense investigation – would encounter harrowing and possibly traumatic stories of illness and mortality. To help prepare them and their newsroom managers she reached out to Dart Asia Pacific. The Dart Centre asked Gardner about the project. Dart: Most people would be surprised that covering a story on air pollution, no matter how bad, would be traumatising for journalists. Why did you feel the need to prepare for that possibility? Lisa Gardner: Air pollution is by no means a conventional area in which journalists might be expected to experience or come across trauma. Certainly not as one might in, say, war, conflict, or crime. Initially our journalists were also skeptical. If the brown haze of pollution had proved such reason for concern, then why had local media outlets not given greater coverage to the problem? Thus in this case news that the toxic air would prove responsible for the deaths of so many city residents proved especially traumatic, given that the magnitude of the problem was largely unknown and therefore subsequent trauma was almost wholly unexpected. Dart: Who was your trauma preparation aimed at and what was the initial reaction? LG: Both the journalists, in terms of self-care, and their managers. "It can be difficult to introduce a discussion centered on trauma prevention when the journalists themselves do not expect that emotional or psychological turmoil might follow. Therefore it's vital that, wherever possible, editors and managers slowly introduce proactive communication between journalists as part of regular media practice. Long before potentially traumatic incidents do occur, it's best to ensure that there are open channels of communication in which it becomes routinely part of the process to informally ask, "Are you doing okay?" What do you expect to hear, say, during that interview - and how do you expect this may affect you? This meant that by the time we conducted trauma-oriented training, our team had already become accustomed to this new routine of proactively looking out for one another's mental health. Dart: How was Dart Asia Pacific helpful and how did you come to reach out to us? LG: When I worked in Thailand I covered some difficult stories: skirmishes on the Thai-Cambodia border; land abuse cases; political prisoners; and many cases of corruption. I sometimes struggled emotionally and psychologically. But I had learned of the Dart Centre at uni and remembered to confer with the Dart website. The material there certainly helped me acknowledge that some of these more uncomfortable feelings were brought about by the nature of my work and that support was indeed available. Preparing for this project I emailed Cait McMahon in Melbourne and from then on, via email, she and Dart Centre staff provided clear, prompt directives as to how best to conduct trauma-oriented workshops, advice that could be readily implemented by those media practitioners without a background in psychology or trauma. March 12 (UB Post) The government recently released a decree to introduce modern technologies to Ulaanbaatar public transportation services in order to address common problems with the service. The project is financed by a 13.3 billion MNT loan from the Development Bank of Mongolia. As part of the project, GPS tracking systems and automated ticket machines will be used in domestic public transportation. Ulaanbaatar City Mayor E.Bat-Uul will be in charge of implementing the project, while the Information Technology, Post and Telecommunications Authority will oversee the project's technical solutions and required programs and software. Slide LLC will execute the project. Through modern technologies, Ulaanbaatar administrators will be able to collect accurate data on public transportation users, monitor whether buses are operating on schedule and on designated routes. Ulaanbaatar public transportation services are provided by 24 service providers using around 1,000 standard-size buses and 700 small buses. The government provides 50 billion MNT each year to bus operators for the exemption of daily bus fares for senior citizens, students, police and the disabled. However, 35 percent of exempted citizens do not travel by bus according to recent studies. The government is planning to conduct a census on the number of bus users that are exempted from fares. Much attention is given to mining and the industry's effect on groundwater supply, but the battle for Mongolia's urban water supply is also of great concern. There is an obvious water supply problem in Mongolia. Raising the price of water may change the way residents think about water use. 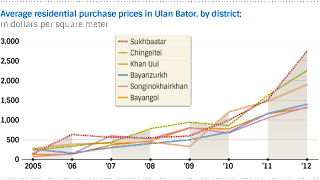 The price of water has not changed since the 1990s, when Mongolia transitioned from a planned to a market economy. There is also a huge disparity in the price people pay for water, depending on the type of home. Apartment dwellers pay MNT 0.32 per litre, while ger district residents pay triple that amount for MNT 1 per litre. Companies pay MNT 0.55 per litre. Water agencies in Mongolia are meanwhile on the brink of bankruptcy. The Water Supply and Sewerage Authority (USUG) operates at a loss of MNT 10 million a day. For example, USUG spends MNT 7,900 on a single truck able to transport fives tonnes of water for delivery to ger districts. 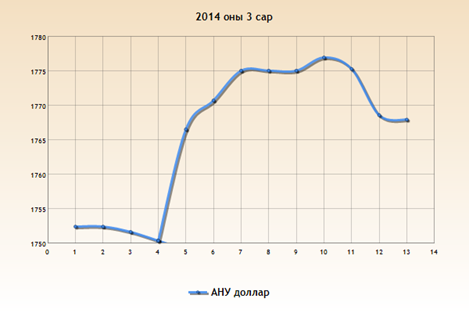 With a price tag of MNT 1 per litre, that five tonnes of water stands to earn just MNT 5,000 for a loss of MNT 2,900. Half a year ago USUG and other water agencies handed in a proposal to the Water Services Regulatory Commission of Mongolia (WSRC) that argued for the need to increase water prices to recover the losses they were experiencing. In WSRC's revision of the proposal it suggests that the price of water paid by ger district consumers should not be changed because those residents already have access to alternative water truck services and the incomes of households in those areas were already low. The commission also noted that ger households had much more controlled daily consumption than their counterparts in Ulaanbaatar's apartments. According to a study by USUG, water consumption per ger district household ranges from eight to 10 litres a day while apartment dwellers consume 250 litres of water a day. Raising the price of water may affect the way those living in apartments treat their water. In addition to price increases, an integrated water management policy is also needed. WSRC suggested that apartment residents pay an additional MNT 0.18 per litre to MNT .5 per litre. However, the proposal has not received a decision by the Authority for Fair Competition and Consumers Protection (AFCCP), and its position on the proposal is unclear. "Since October 2012, WSRC has been carrying out research and submitting the outcomes to AFCCP on the necessity of increasing the price of water aimed at addressing the financial difficulties of water service providers," she said. AFCCP held on to the proposal for a year and was supposed to make a decision this past January, but the agency put off the decision to a new, undetermined date. Its concern is largely what public reaction to the price hike might be. Also, AFFCP said the organisations are biased in their conclusions in the proposal and instead they should focus on raising public awareness for better water management. There is also the suggestion by some that USUG's water price hike proposal for apartment residents to MNT 0.5 per litre is too low. Instead, the price should have been increased to MNT 1 per litre – the current price paid by ger district residents. 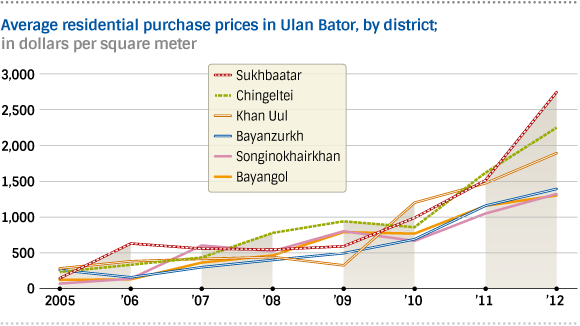 Water pricing is a very important issue related to Ulaanbaatar's water security. There are 366 kilometres of fresh water pipelines in Ulaanbaatar, which were built in the early 1960s. There has been no maintenance and renovation to these pipelines since then. This is the freshest groundwater in Mongolia, according to USUG. Urban growth and development of the mining industry will put tremendous pressure on the groundwater supply at the Tuul River. Water professionals say a complete study on Ulaanbaatar's water resources has never been done. 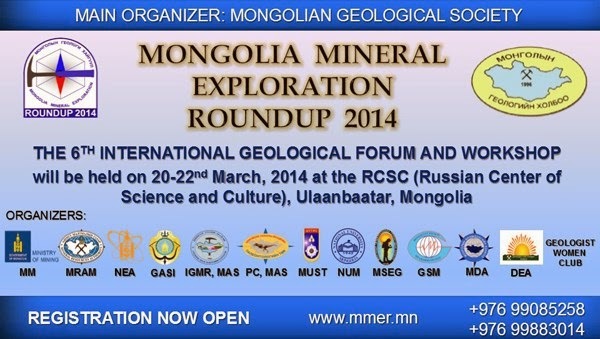 However, some smaller studies are under way by both foreign and Mongolian research organisations. For example, a number of ger district households and factories in Ulaanbaatar own private wells, and no study has ever looked at their impact. Water experts at USUG say that water resources could be exhausted by 2016 if no change is made in today's unregulated water consumption and use by Ulaanbaatar. Monitoring is needed, and more value should be placed on resources. Grey water technology would be on way to help retain water supplies. Mongolia already has its state policy for water resources. It also set a strategic goal aimed at protecting water resources and increasing surface water consumption to meet the growing water demand with the approval of the 2012 Law on Water and the 2010 National Water Programme. Implementation of such legislation has been challenging, however. Water scarcity is not just a problem for the capital. Big mining operations in the Gobi desert constantly put water resources to the test. The Gobi has very little surface water, comprising 0.03 percent of total surface water in Mongolia. The main source of water in the Gobi is underground aquifers, with 60 percent of total groundwater resources in Mongolia located in Gobi areas. That groundwater is not of much use for drinking, however, due to high levels of substances such as fluoride, iron and uranium. Water consumed for agricultural uses is also cause for strain. In some places the volume of water consumption per head of livestock is low – and the same often goes per individual. Many herders transport water from far off distance to give their livestock. It is hard to imagine a life without water while there is currently always a fresh supply readily available. Better water management through measures such as raising the cost for its consumption may be what Ulaanbaatar's citizens need to place more value on their freshwater supply. Ulaanbaatar, March 12 (MONTSAME) The Minister of Foreign Affairs L.Bold will pay an official visit to Australia March 18-20 at invitation of his counterpart Ms Julie Bishop. This is the first visit of Mongolia's FM to Australia since 1993. Mr Bold aims to forward a widening of the Mongolia-Australia relations into an expanded partnership volume, to strengthen political relations, and to intensify the bilateral cooperation in mining, education and agricultural spheres. The Foreign Ministers of the two countries will hold official talks. Mr Bold will also be received by Ms Bronwyn Bishop, the Speaker of the Australian parliamentary House of Representatives. The Minister intends to meet members of the Australia-Mongolia inter-parliamentary group to exchange views on expanding the inter-parliamentary cooperation, and will establish a related memorandum. The Minister will hold a meeting with Australian business delegates in Melbourne city to introduce to them a new environment of business and investments, to attract investments from Australia and to fortify the trust of Australian businessmen in Mongolia. He will be interviewed by Australian public TV. March 13 (infomongolia.com) Mongolian delegates led by the Speaker of the State Great Khural (Parliament) Zandaakhuu ENKHBOLD have been conducting an official visit to the Republic of Korea from March 12 and on the first day of the visit Speaker Z.Enkhbold had bilateral talks with the Speaker of the National Assembly of South Korea Kang Chang-hee. During his meeting, Speaker Z.Enkhbold noted, "The bilateral ties between Mongolia and the Republic of Korea have been growing at all potential spheres at the level of 'comprehensive partnership', where high-level mutual visits and inter-governmental talks play an important role to develop the relations. The year of 2015 marks 25th anniversary of the establishment of diplomatic relations between the two countries. Korea is considered closest geographical partner country and we satisfy with emphasis on mutual beneficial collaboration in large projects and programs being carried out such as investing in mining & infrastructure and introducing technology, developing human resources & management issues in Mongolia". Also, Speaker Z.Enkhbold underlined that Mongolia is willing to join regional multilateral dialogue and integration accession, to become APEC member state and participate East Asia Summit, which is major objectives of Mongolia's policy directed to join regional integration. Compare to other states, the Republic of Korea is the country, where most Mongolians are working under contracts and being employed, where the issue of protecting the rights of our nationals is one of our priorities, added Speaker. Governments of the two countries have been taking significant steps to facilitate mutual travel conditions and in the scope of growing reciprocal visits and partnership, our two countries should take sequential measures on visa free travel between the two citizens, extends Speaker Z.Enkhbold. In turn, Speaker of the National Assembly of South Korea Kang Chang-hee said, "The collaboration between the two countries has been reached comprehensive partnership. The two countries are cooperating on international area closely. 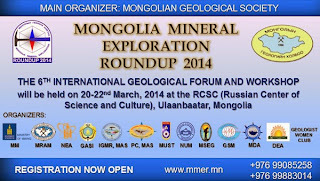 However the Republic of Korea is considered as lack of mineral resources with big population, but Mongolia is contrary. We believe to deepen the further cooperation and study the characteristics and opportunities of bilateral partnership between the two countries. As of visa liberalization issue extended, we will pay particular attention and will collaborate with Mongolian Embassy in Korea to take sequential measures". Ulaanbaatar, March 13 (MONTSAME) Parliamentary journalists and cameramen from some media organizations were involved in a training Tuesday in the Republic of Korea in conjunction with an official visit of Mongolia's Speaker Z.Enkhbold to the country. The S.Korean media people, assigned to cover the National Assembly's works (parliament), gave a lecture. Then, in the parliamentary house, its public relations chief Yong Ho Li opened the training, noting he is satisfied with seeing the Mongolia reporters. He also said that a journalist, a main channel for providing people with information and news, must be very responsible and be able to see key point of any matters. It is important to respect all sides in any issue, he added. The National Assembly runs trainings every quarter for parliamentary journalists. The trainees also were given a lecture on actions of the S.Korean parliament and its collaboration with the media. There are 1,350 journalists qualified to report parliamentary actions, 100 of them are permitted to enter the Presidential Palace, Mr Li said. Following the lecture, the journalists visited the Historical Museum of parliament. Ulaanbaatar, March 12 (MONTSAME) The State Secretary of the Ministry of Justice J.Bayartsetseg, together with Border Protection and Police officers are visiting London these days. The Mongolian delegation Tuesday attended an opening of an exhibition themed "Security and Policing" organized by UK Home Office. After the exhibition opening, Ms Bayartsetseg met with Mr Chris Allison, a deputy chief of Home Office, Mr Phil Duffy, a chief operating officer at Border Force, Mr Mark Bishop, a senior officer at National Crime Agency, Stephen Phipson, a director of Security Industry Management at Home Office and others. Our State Secretary briefed them reforms of legal institutions of Mongolia and asked the British authorities to help in preparing legal staffers and to share experience. The high ranking officers of UK Home Office and National Crime Agency acknowledged the request and expressed an interest in further cooperating with Mongolia. Tuesday afternoon, Ms Bayartsetseg met with Mr Nicholas Fluck, a president of the Law Society to share views on status and functions of lawyers, legal education system in the UK, and newly-founded Lawyers Association of Mongolia. The sides agreed to establish contacts between lawyers of Mongolia and UK and to take measures to broaden the cooperation between them. March 12 (infomongolia.com) On March 11, 2014, Minister of Foreign Affairs L.Bold and Ambassador Extraordinary and Plenipotentiary of Japan to Mongolia Takenori Shimizu have signed on three Notes to exchange between the Governments of Mongolia and Japan. The first Note is considered on "Higher Engineering Education" project to be carried out in Mongolia with 7 billion 535 million JPY or approximately 75 million USD soft loan will be provided by the Government of Japan, also 750 million JPY or 7.5 million USD non-project aid and on providing cultural grant aid of 71 million 700 thousand JPY or 700 thousand USD. In the scope of "Higher Engineering Education" project, over thousand students studying at Mongolian state universities majored in engineering and technical schools will be enrolled in a 2-year rotational training to study in Japan and Mongolia, also within this fund to organize vocational training, renew and equip workshops, laboratories and research pilot classrooms, and the project is aimed to train Mongolian engineering and technical work force for a short term and stimulate the introduction of state-of-the-art engineering-technical system in Mongolia. The second non-project aid of 7.5 million USD will be earmarked for supplying diagnostic equipment to hospitals and maternity houses such as MRI, CT and ultrasound devices, also surgical equipment, monitoring for intensive treatment, control equipment, and treatment and diagnostic kits. The aid is aimed to accelerating the country's health reforms and supplying medical institutions with modern equipment, which are considered as vital importance today and will be distributed to Mother and Child Health National Center and Maternity Hospitals No.1, No.2 and No.3 respectively. The third part of cultural grant aid of 700 thousand USD will be spent on "TV Software Improvement" project to improve quality of cognitive educational programs and to promote Japanese language and cultural programs. The project will be implemented on Mongolian National Broadcaster Television. March 12 (The Asia Foundation) Mongolia is no stranger to the scourge of human trafficking that takes place within Asia and beyond. As a source, transit, and destination for victims of human trafficking, Mongolia remains a Tier 2 country on the U.S. Department of State's annual Trafficking in Persons (TIP) Report, which reported that Mongolia "does not fully comply with the minimum standards for the elimination of trafficking; however, it is making significant efforts to do so." In January 2012, Mongolia's Parliament adopted a standalone Law on Combating Trafficking in Persons (Anti-TIP), a milestone in the country's anti-trafficking efforts, and the culmination of more than three years of intense advocacy by civil society organizations. Two years after the law was adopted, a new law on Victim and Witness Protection passed by Parliament in 2013 has entered into force in January of this year. Under the leadership of the Ministry of Justice, a newly established National Sub-Council on Combating Trafficking in Persons, made up of ministries, government agencies, and civil society organizations coordinates efforts to prevent and combat trafficking. One of the Sub-Council's main priorities has been the revision of the National Program on Combating TIP, which outlines the actions needed to implement the anti-TIP law. However, given that the legal framework of the law as it relates to trafficking in persons is relatively new in Mongolia, The Asia Foundation is working with the Ministry of Justice (MoJ) to train the Sub-Council's new staff members. Last month, we organized a two-day training for 23 staff members in the capital, Ulaanbaatar, on trafficking in persons and the importance of inter-agency coordination. Participants conducted a mapping of the existing services that their respective agencies provide and also suggested to meet regularly as a group after the training to continue discussion on ways of improving collaboration to provide victim support in a more coordinated and systematic way. The training was preceded by a two-day training on identification and investigation of trafficking cases for investigators from the State Criminal Department and State Investigation Department of the National Police Agency and for prosecutors and lecturers from the Law Enforcement University. This training focused on practical investigation methods, such as how to effectively gather criminal intelligence in relation to trafficking cases. To support victims of trafficking in accessing legal aid, we partnered with the MoJ last year to establish an interim trafficking in persons legal defense fund for victims. This will eventually become an official fund managed by the MoJ, now that the law on Victim and Witness Protection has entered into effect. Currently seven victims of trafficking for sexual and labor exploitation – most of whom do not have the financial means to hire lawyers or defend themselves – are receiving legal assistance from lawyers specializing in human trafficking cases through the fund. As there are very few lawyers in Mongolia working on a pro-bono basis, victims are effectively inhibited from seeking legal redress. By providing them with access to legal aid, victims will be given a voice to take their cases to court and hopefully will encourage others to report their cases and increase the number of trafficking cases that are prosecuted. We are also working with civil society organizations to combat trafficking in persons, and for the last three years, with support from the MYTWO Fund via Give2Asia, have supported the Gender Equality Center to keep the nationwide, 24-hour anti-trafficking hotline established in 2006 operational. The hotline is a life-saving resource for victims of trafficking and a place where the public can report suspected cases to the law enforcement agencies. To date, the hotline has received over 5,600 calls –138 from trafficking victims – and nearly 1,600 people have called for information on safe migration, labor placement agencies, study abroad agencies, and marriage mediation. Last year, the Foundation, together with the Ministries of Justice and Foreign Affairs, printed and distributed 250,000 passport inserts with information about the hotline and support contacts for border control crossings, immigration authorities, and Mongolian embassies and consulates abroad. While Mongolia still has a long way to go to preventing and combatting trafficking in persons, especially when it comes to implementation of the existing legal framework, progress is being made and cooperation among stakeholders is increasing. In April, The Asia Foundation is planning to organize a visit by a delegation of Nepali officials to Mongolia, where they will exchange views on some of the common challenges both countries face as well as their experiences and good practices when it comes to developing a holistic and comprehensive trafficking prevention and response system. The Asia Foundation's "Supporting Mongolia's Efforts in Combating TIP" project is funded by the Embassy of Switzerland in Beijing, China, under the Federal Department of Foreign Affairs of Switzerland. Jargalan Avkhia and Naran Munkhbat are responsible for implementation of the project and can be contacted at jargalan.avkhia@asiafoundation.org and naran.munkhbat@asiafoundation.org, respectively. Tirza Theunissen is the Foundation's deputy country representative in Mongolia and can be contacted at tirza.theunissen@asiafoundation.org. The views and opinions expressed here are those of the individual authors and not those of The Asia Foundation. March 13 (infomongolia.com) Mongolian Immigration Agency (MIA) and Korea International Cooperation Agency (KOICA) are implementing the Project for the Development of E-Immigration System in Mongolia since January 2013. So, the opening ceremony of the "E-Immigration" Project was held in Ulaanbaatar on March 12, 2014, however the project reconnaissance work had been started since 2012 and implementation period was scheduled to be complemented by 2015, but under some delay issues, the project will be accomplished by 2016 under KOICA non-refundable aid of 5 million USD. In the frameworks of the project, the Immigration Agency will now to have a general and comprehensive information database to monitor and control the movement of Mongolian nationals to overseas and protect rights of Mongolian citizens residing abroad and provide with legal assistance. Although, the new database will give detailed information to monitor foreign nationals entering Mongolian territory, register foreign citizens, immigrants and stateless persons as well; moreover the process of registration of foreigners, international organizations and foreign-invested enterprises operating in our country would be advanced at national level. During the opening ceremony, Director-General of Immigration Agency Bukhchuluun PUREVDORJ said, "Today Mongolia's two organs are operating on border, whereas the MIA runs 'Nikos' software to register foreigners in Mongolia and the General Authority for Border Protection undertakes 'Vortex' program to register foreigners entering Mongolia. Following the new law on Border Checkpoints, which is effective from April 01, 2014, the two organs will be combined and the two software will be interlinked. Before, it was not able to monitor visitors who are residing in Mongolia under 30-day tourist or business visa and some travelers usually disappeared breaching the term. By implementing software integration, foreign citizens living illegally and the issue of devaluating Mongolian law will be eliminated at all. Also, visa extension and residence permits will be issued on-line, which means foreigners are not necessary to go the Office in person and able to receive responds via e-mail. Moreover, the border cross process will be accelerated". According to new regulations, Mongolian Immigration Office becomes the General Authority for Citizenship and Migration of Mongolia from April 01, 2014. March 12 (UB Post) The government approved the Forest Cleaning Program last month. The following is an interview with professor of biological science and State Secretary of the Ministry of Environment and Green Development J.Batbold regarding the Forest Cleaning Program. -The Forest Cleaning Program was approved by the government recently. Mongolia is about to commence forest cleaning for the first time. How many forests are in need of cleaning? Within the program, was any detailed research done for forests in need of cleaning? -Soon after the program was approved, the public was informed by the media that 76 percent of total forests in Mongolia are in need of cleaning. This is incorrect. Mongolia has 18 million hectares of forests and two million hectares need cleaning. This is 11 percent of the total forests. The forests that need cleaning are for those with trees that have fallen, dried or died and which have been affected by fires or insects. Forest cleaning will be organized for these two million hectares. Old-growth forests make up 76 percent of total forests. The term "old-growth forest" is connected to the age of the forest, which means that it's not made up of "young," growing trees. In other words, the forest habitat possesses relatively mature and old trees that can fall due to heavy snow, storm, and wind, or damage by insects. By giving tasks and assigning necessary funds to the Mongolian Forestry Research and Development Center last year, we were able to get good information about the amount and locations of forests in need of cleaning, as well as the products needed for the cleaning. Forest cleanings will be done for forests of 14 provinces and one district in Mongolia. -The program will be implemented for four years. How much land will be cleaned this year? -Forest cleaning is planned to begin in Mungunmorit and Batsumber soums of Tuv Province, and Yuruu, Mandal and Khuder of Selenge Province. The objective for 2014 is to clean 21 thousand hectares of land, which equals around one percent of the total cleaning area. If we work at this rate, it'll drag for a hundred years. Therefore, we will intensify the work next year by cleaning 40 to 50 thousand hectares each year. -Under the program, what kind of activities are planned? Are there any special laws or regulations for this type of work? -Firstly, cleaning forests is a professional operation. Only entities working in the sector have the right to work. Forest cleaning can be defined as getting rid of residue from logging fields, and trees and branches that have dried up or are no longer able to grow due to natural phenomenon. It has special regulations. There is a regulation to clean and maintain forests approved in resolution A 234 of September 2, 2013 by the Ministry of Environment and Green Development. Forests will be cleaned in accordance with this regulation. The public seems to be worried whether there are activities that require the cutting of trees, which presents an opportunity for illegal businesses. Forest cleaning is different from forest maintenance. Maintaining forests means to lessen trees by cutting trees in thick forests to increase sun light. This program is not a maintenance program. Therefore, not a single tree is to be cut during forest cleaning. -Will you get rid of all dry and fallen trees and stumps? -You can't interpret it as getting rid of every fallen or dry tree. Scientifically, 30 percent of the residue of forests that are being cleaned needs to be left in the forest. This percentage is used to regenerate soil and sustain nutrients for the ecosystem. In foreign countries, after cleaning everything, they scatter a certain percentage of the residue back to the soil in tiny bits and pieces. By doing this, the residue is absorbed in the soil and produces forest humus. Mongolia also needs to transfer to this technology. Some people are criticizing this work, telling us to leave the fallen trees where they are. There are reasons for not leaving it where it is. -If not cleaned, what are the adverse impacts? -The old system of stealing trees, fires and infestation of bugs will probably continue. There are many who see the current state of forests as a product of over-expressing the regulation to protect forests. I agree with this. In other words, we have an adverse system that worsens the state of forests under the name of protection. The Forest Cleaning Program will be the beginning of a change to this system. Statistics show that the 64 million square meters of dead, fallen or dry wood has a market value of 5.8 trillion MNT. Are we a country rich enough to ignore this? Also, how should we provide for the nation's demand for wood? We got the above statistics through a full year's worth of research done by the Forestry Research and Development Center. In my first board meeting after I was appointed as state secretary, I discussed ways to reduce illegal logging and had this research started. It's all of our years of effort. I'm extremely delighted that it's been approved by the government. The Environment, Food and Agricultural Standing Committee gave a lot of support. I'm very grateful to MPs G.Bayarsaikhan, D.Arvin, A.Bakei and many others for giving their support for developing and promoting the program. -Are there any negative effects of the Forest Cleaning Program? -It will depend on the organization. If this work can be organized well, the positive effects will be more than the negatives. However, there's a possibility of stealing wood during transportation. There's no telling whether there will be negative effects such as cutting green trees, damaging saplings, polluting the ecosystem, hunting, technical errors, accidents and loads more. In order to prevent this, we are training and giving clear explanations for safety, regulations, remedies and utilizing technologies to professional organizations. The Forestry Research and Development Center was entrusted with instruction and signing contracts for safety, and to avoid actions that would negatively affect or harm the ecosystem. In order to stop all illegal action through this program, the ministry and our department that fights illegal logging was transferred to the Forestry Research and Development Center. They are supervising the initiatives against illegal logging and forest related activities. I'd like to issue a warning to those conducting illegal operations in forests, that it is futile. -It can be viewed that more jobs will be created through the program. Do you have any estimations on how many jobs will be created? -Many job opportunities will be available in local areas. There are over 1,000 cooperatives in the state. They will be involved in the Forest Cleaning Program to educate and give training. According to our statistics, at least 1,000 people will get stable jobs this year. In 2014, forest cleaning will be done in five soums of two provinces and in the coming years, in 14 provinces. This means that 30 to 40 thousand jobs will be created according to our estimations. It will be very beneficial to the economy if you consider the amount of tax that will be given to the state from incomes of entities. There's an estimation that cooperative members will have sufficient income. By Mongolia cleaning its forest, the forest sector will improve. -How will organizations working in the sector get involved in the program? -There are some 400 entities and 32 professional forest units. We can't support them because of lack of work. The Forestry Research and Development Center is a government funded organization that has a small budget. When these organizations participate in the Forest Cleaning Program they will not only have work for profits but also be able to get funds for reforestation. For example, they'll get funds for forest protection and supervision. This is why the forest sector will improve. -By cleaning the forest, will the cost of firewood decrease? How will it affect timber and log prices? -We can see possibilities for firewood prices decreasing. We can see possibilities for wood becoming cheaper by three to four fold. However, expenses will increase if we add fees for land restrictions, supervision, transportation and road repair. Still it can decrease by a quarter. -How will the implementation of the Forest Cleaning Program be organized? -The Forest Cleaning Program restricts the responsibilities of the Forestry Research and Development Center. This organization will lead plantation activity. Our ministry will direct and supervise the project. One of the requirements we put in our policies is that this work is completed at a highly professional level and implemented in accordance with standards and rules. We will make sure that the remedies and regulations are in place to not harm the ecosystem. Secondly, to involve forest organizations with forestry related jobs, we will create new jobsites to support employment in local areas. This will be done in a fair, open and transparent manner. Thirdly, we will give training and work with a strict supervising mechanism in order to prevent fires, accidents, restrictions and illegal logging. Lastly, during the implementation of the program, we will work to increase the supply of firewood and decrease prices. The capital and provinces in need of firewood will benefit from this. March 12 (UB Post) Several Mongolian guys entered a burning house and saved a lot of people in South Korea. These guys were there without official permits to work in Korea, and after all that happened, they understood that they didn't have legal status and ran away from the fire. Korean police officers had to work to find the illegal heroes but eventually found them. Mongolians live and grow up on the wide steppe, without controls and instructions from high ranking officials and authorities. Nomadic people don't expect someone's financial, labor or foreign aid help. Every day, they face a lot of challenges when their pastured livestock need care in a harsh, cold winter season that reaches 30 to 35 degrees Celsius. In the dark, cold winter, livestock goes missing and herdsmen need to find them, a herding family may have four members and the father is responsible for finding their livestock. There is no outside help, because all their relatives move season to season and there's no time to find where they live. These kinds of challenges in life influence their mind, and people are always careful when doing things and try to avoid thinking negatively in their daily routine. Especially for men, they do not have many chances to escape these circumstances, only to focus on passing the days and participating, which can lead to an intuition to save. This is an essential way of life for nomadic people. As for the people who live in the provinces, they are far from authority and courts. For instance, an OBGYN needs to travel at least 40 km to reach and check on a pregnant woman's health. Such factors push people to solve their problems within a short time, without waiting for help to come. If they see a crime or robbery, they chase offenders and beat them to stop their crime and return stolen items to the victim and calm them down. Later they may bring the case of a robbery to the court. We have a huge, vast country, and all foreigners think about how sparsely populated it is. At 1,500 million square kilomteres, Mongolia is the world's 19th-largest country after Iran, and it is significantly larger than the next-largest country, Peru. We have less than three million people and most of the provinces have fewer residents since more than half of the population has moved to the capital. In 1921, 500 thousand people lived in Mongolia, but soon the population will reach three million. Weather, climate, and geography influences residents, The famous Russian anthropologist Lev Gumilev wrote, "Mongolian mentality is like their climate and wide steppe. When two men are talking and suddenly start arguing loudly and just five minutes later their anger blows away with wind and they forget all the quarreling and make a good farewell, it's like their extreme weather. In the winter it reaches minus 50 degrees Celsius, but in the summertime the temperature reaches 40 degrees Celsius." And he continued by saying that Mongolians think time is like a spiral structure, and act like time never ends, "it seems like they can do their work tomorrow." We say, "Mongolian tomorrow never ends," which means we are never in a hurry. Khulan, who is Head of the Marketing Department of Sony Corporation of Asia and the Pacific Region, said during a television interview, "My duty is to find new, interesting ideas for marketing. Whatever I try, I work so hard for and sometimes I think I'm going to postpone my work like old habits or character." She grew up in the countryside and sometimes she feels like our calm and relaxed mood is bad for her career. But she can also decide on new ideas or projects very quickly and adapt to new environments without depression and stress. Doctor Khavkh identifies Mongolian's good side and characteristics as the following: honest, straightforward, against cheating, intelligent, respectful of elders, helpful towards others without needing praise or reward, and having a good heart. As for the bad side: When an opinion is established between family members and a relative goes in another direction that is disapproved of by others, they go into crisis mode and rack their brains for a way out of the situation and to find a resolution. During this time they may follow the opposite side and lose their own identity, and be drawn to strange, new, foreign things. If people do not follow them, they may try to break, push and discriminate, and an interest in cheating others, deception, and selfishness may arise. Young people break the rules about respecting elders and husbands and wives will break their commitments. In the end, they don't believe each other. Ancient Chinese sources and foreign travelers throughout history have mentioned the Mongolian mentality in their travel notes, for instance Marco Polo, Plano Carpini, Giliom de Rubruck, and the academic M.E. Maiski. These people's descriptions are reminiscent of the first one, of the good qualities of the Mongolian character. These ideas about mentality are not universal though, only some special qualities are widespread like a sense of national identity. For instance, Mongolians believe that a bad man has a loud voice, but although Chinese people may talk loudly they aren't expressing anger or saying bad words about people around them. Let's look at some national attitudes that have spread widely. German people stick to deadlines, have the best time management, and follow the law. French people are brave, clean, and have a reputation for being lovers. Russians are cooperative, not greedy, but know how to spend money. Chinese people are hard working, pay attention to detail, and are intelligent. According to sociologists, Mongolian values are family, health, hard work, knowledge, skill, property, and legislation (Mogi: must mean rule of law). Recently, people have started to use the word motherland again. Twenty years ago, no one would have said motherland was on the list of Mongolian values. They would have said the most valuable thing was the self, and during the socialist era, people would have answered with property. Mongolians have experienced two big shifts in mentality. The first one happened during the last half of the 20th century. Mongolian traditional social conditions and culture were transformed throughout society, which was a bumpy, challenging time. At this time, Mongolians became socialists. There were also pro-independence movements in 1911 against Manchurian colonization. Finally, the Mongolian People's Party took power in Mongolia in 1921 with the help of the Soviet Union, after White Russian and Chinese forces had been expelled. In 1924, the party renamed itself the Mongolian People's Revolutionary Party. Over the following decades, Mongolia was always very closely aligned with the Soviet Union. After the ousting of the former dictator in 1984, and inspired by Mikhail Gorbachev's reforms in the Soviet Union, the new leadership under Batmunkh implemented economic reforms, but failed to appeal to those who, in late 1989, wanted broader changes. The second transformation began in 1990 when young people in Mongolia wanted a change in society and the way the government was conducting its business. They began to meet and discuss plans secretly and they held a hunger strike. After this, government failed and socialist Mongols became capitalist Mongols. The transformation is ongoing. Traditional, socialist, and capitalist – these three characteristics have changed the Mongolian people within three or four generations. That is pretty fast and has an effect on mentality and can complicate people's values and character. There is no clear direction for change, which can be frustrating, and community can at the same time become more hard to define and more specific. Now we are facing a lot of challenging social issues. Elders and the youth don't understand each other and elders always say that the youth have a poor upbringing. The youth says that they are not angry about what their elders did to the country's development, and only that they didn't do anything for them. due to increasing numbers of customers. Monthly Salary: £2,500GBP and above depending on the level of experiences. BUSINESS ANALYST, CAFÉ ATTENDANT, CAFÉ MANAGER, COMPUTER OPERATOR, INTERNET SERVICE EXPERT.